If MUMBAI is written as ABIMMU, how the word MARGAO will be written? You cannot resize the taskbar in Windows 7, if __________. computer can be booted after _____. not really clear, what the question and what children learn from it. The question is just a trivia question for children of that age. At first, as an adult, the question looks obvious but for children of that age it is appropriate. Which of the following is not a valid document view in MS-Word? Navigation is not a valid document view in MS-Word. Hence, the correct answer is B. 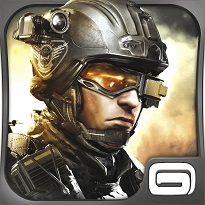 Modern combat 5:Blackout is a game available for _______. ______ is a type of network that is found in wearable technology. It can also be found in hospitals, where doctors monitor their patients, with the help of machines that measure their body temperature, pulse, heart beat and alerts the doctor about their patients, even before they get a heart attack. The correct answer is D. BAN stands for Body Area Network.